*Marketing Opportunities in Business and Entertainment, better known as MOBE is back and better than ever. MOBE (pronounced ‘moe-bee’) will kick off its annual symposium in Atlanta on August 17-20, 2017, at The W Hotel Buckhead. The MOBE Symposium 2017 goal is to connect the next generations of leaders, innovators, creators with the most influential brands and companies in the world. 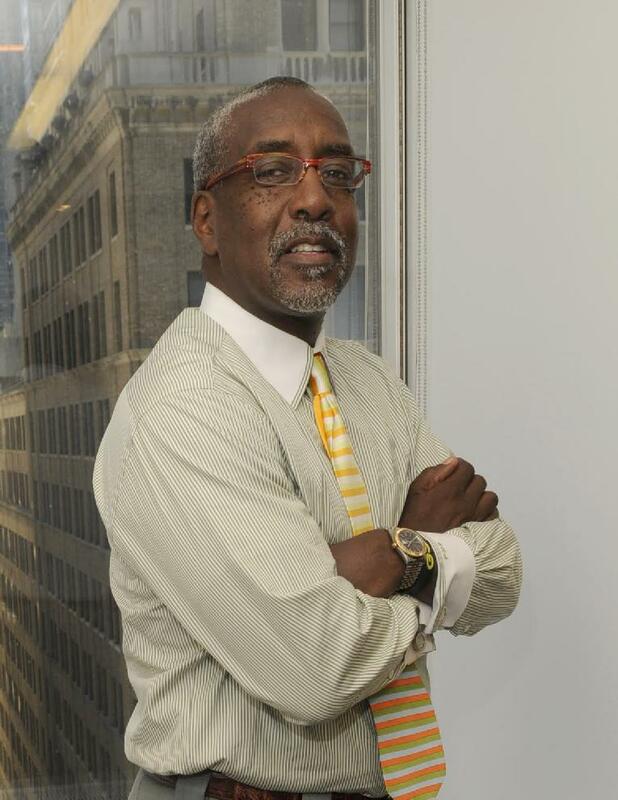 According to MOBE, more than $187 million in business was generated to African-American companies as a direct result of associations and relationships conceived at MOBE symposiums. MOBE is for everyone – from entrepreneurs to corporate leaders; up-and-coming indie artists and filmmakers to award winning directors, actors and musicians; sports industry executives to championship athletes, and everything in between. Sponsors include Bronner Brothers, Liquid Soul, and collaboration with the new iONE Digital, the largest digital player in Black culture and media. “The attendees can expect to receive a link to the past and a hookup to the future. We started in Atlanta when LaFace Records was there. We helped to launch one of the most entertaining capitals in America. There’s more to be realized, more financial rewards in Atlanta. One of the things that we are putting in is the time to sit down and listen to people and utilize strategies.” says Moyo. The MOBE Symposium 2017 will kick off the event with the MOBE Golf Outing on Thursday, August 17, followed by an opening reception and a “Night on the Town” visiting some of Atlanta’s top black-owned/managed businesses. On Friday and Saturday, the days will be filled with conferences, meetings, panels and mixers by the best in marketing, sports, business and entertainment. Networking and getting to know the right people is key in business, and that is exactly what MOBE is promising attendees. Moyo says there were attendees who were at MOBE in their twenties and now they are coming back. “You really do want to meet people. You really want to meet Detavio Samuels, president of iOne Digital & One Solution, and Tasha Young-Levy, multicultural Lead at Facebook,” says Moyo. 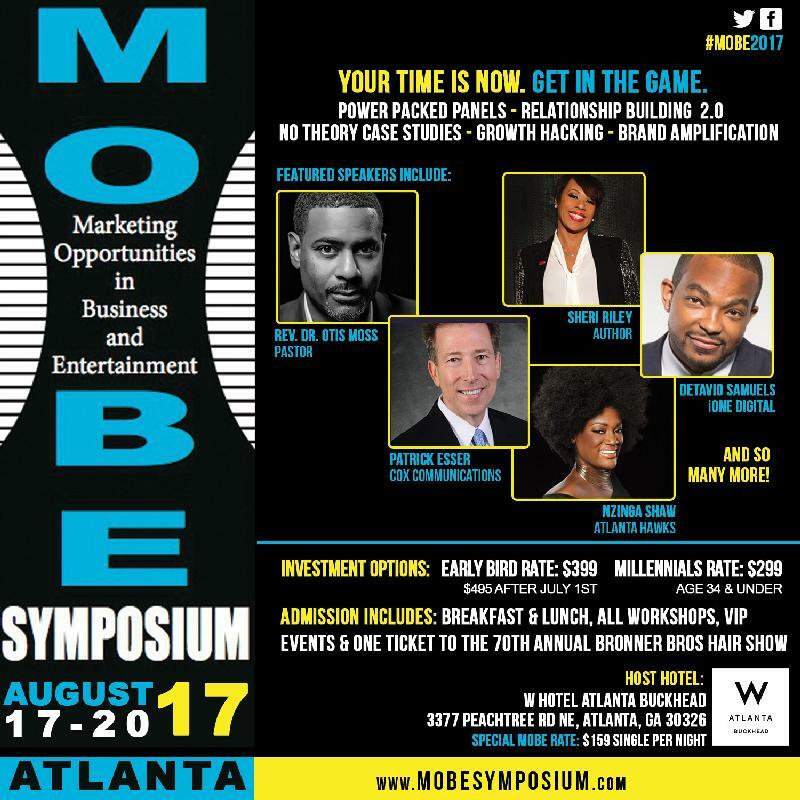 MOBE Symposium 2017 Speakers include: James Bronner, SVP Trade Show & Operations/Part Owner Bronner Bros; Tirrell D. Whittley, Principal and CEO of Liquid Soul Media; Patrick Esser, President Of Cox Communications; Detavio Samuels, President of iONE Digital & One Solution; Kevin Merida, ESPN Senior VP and Editor In Chief, Theundefeated.com; Wendell Haskins, Director of Sports & Entertainment PGA; Rev. 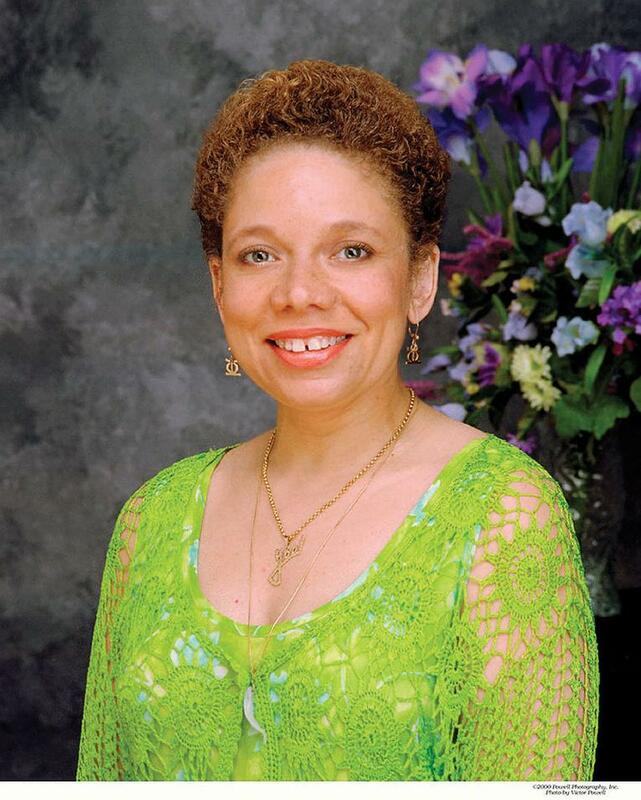 Dr. Otis Moss, III, Social Justice Activist; Pastor, Trinity United Church of Christ and Senior Pastor, Trinity United Church Of Christ; Patricia Shields, Partner of Black Dot LLC. ; Shante Bacon, Founder & CEO of 135th Street Agency; Nzinga Shaw, Chief Diversity & Inclusion Officer, Atlanta Hawks; and Jamie Dukes, Host, NFL Networks. Registration includes breakfast, lunch and admission to all MOBE VIP functions and the 70th Anniversary Bronner Brothers Hair Show. To register for #MOBE2017, visit Mobesymposium.com. Capacity is limited to 200 paid registrants to maximize the interaction opportunities for attendees. 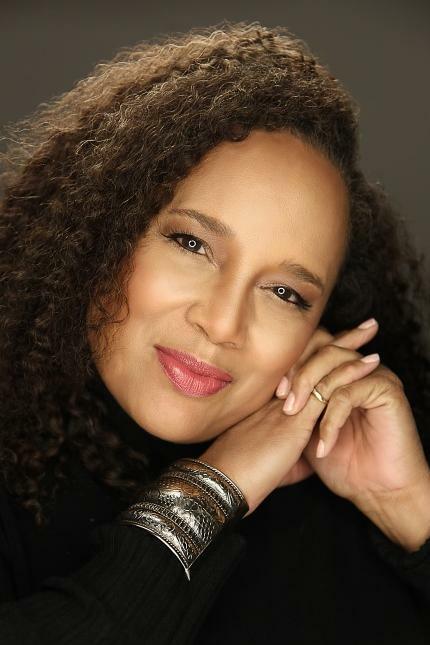 EURweb associate journalist Angela P. Moore is based in the Atlanta area. A passionate writer-and-photographer-at-heart, she freelances for local and national magazines. She pens articles on celebrity profiles, art, music, business, travel, entertainment, health, self-help, and consumer-related issues. She is also the founder and owner of APM Public Relations. In the realization of her life-long passion for writing, Angela will release her debut book winter 2017. She can be reached via angieprbiz@gmail.com.